Gorgeous Custom Designed Wedding Albums! “Parents Albums” for Additional Family Members? Video DVD Edited & Titled at your request! High Energy Entertainment with Style and Class! Professional Masters of Ceremony (MCs)! 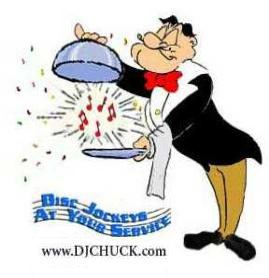 Fully Insured – Properly Attired Disc Jockeys (DJAYS)! Plasma & Projection Screens in Various Sizes & Styles to Fit Your Party Hall! Many Other Specialty Items & Services! Great for ALL Formal or Informal Events! No Event or Party Too Big or Too Small! Sweet Sixteens & Bar/Bat Mitzvahs, Block Parties, Communions, Etc. Fun & Formal Fantasy Party Photos! High Energy Dancers with Style and Class! Props! / Games! / Contests! / Giveaways! / Prizes! Fun People Entertaining people who want to have fun! Call for more information in our FREE full color Brochure! Comment Postings delayed for conversion.